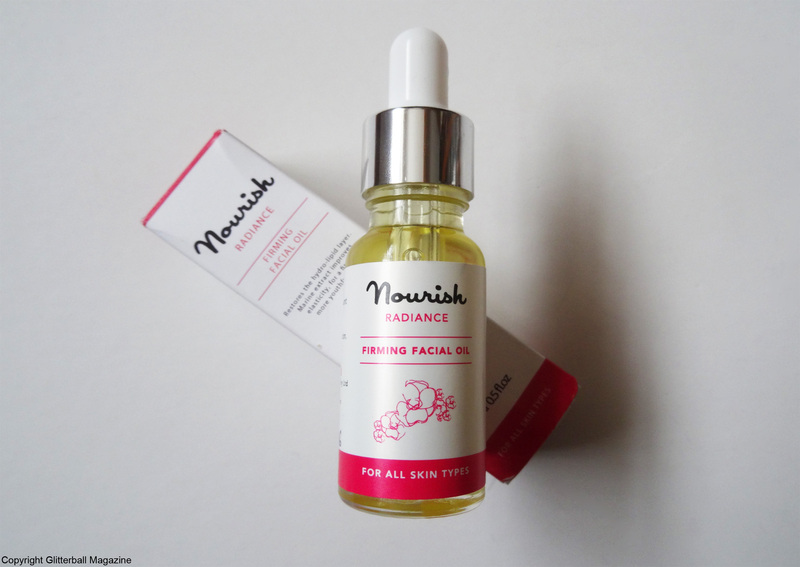 This Firming Facial Oil from Nourish could really be the Fountain of Youth. Believe me, that’s NO exaggeration. It claims to slow the breakdown of collagen and elastin for firmer skin but I must admit, I usually take product claims rather lightly. I prefer to judge beauty products for myself through thorough testing. I’m absolutely THRILLED to report that after using this, my skin is glowing. Not just glowing, but the kind of ethereal glow that makes you double take when you see your reflection because your skin is on that much of a beauty high. And that was just the morning after the first use. Impressive. But what makes it so good, I hear you ask? 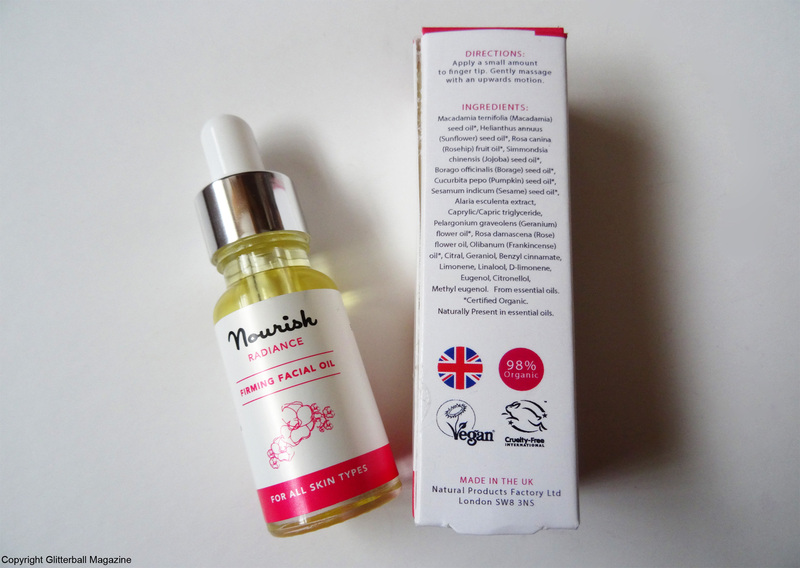 The wonderful blend of omega-rich macadamia and pumpkin oil (great for radiant skin) mixed with rosehip (another skin saviour) and borage oil means your skin really is being saved from any dullness and dehydration. 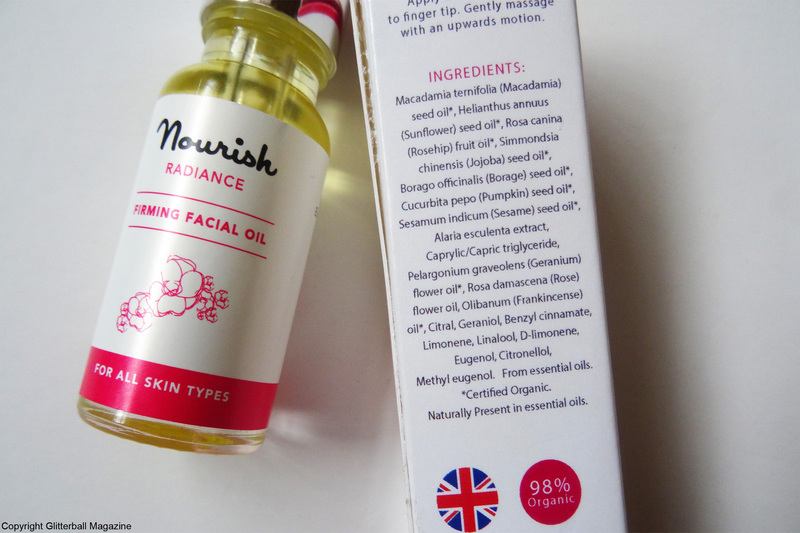 Oh, it’s also made with damask rose, which is one of my favourite beauty ingredients ever. I recognised the delicious scent as soon as I opened the bottle. Extracts of marine kalpariane and frankincense aid in the production of collagen and fight the signs of ageing. Hence why it’s like the Fountain of Youth. It instantly gives me a youthful complexion. Ok, so you might think it’s a little silly to chase a youthful complexion considering I’m only 26 (I always get mistaken for much younger, just before my 26th birthday somebody told me I looked 18… result!) but you’re never too young to think about these things you know. The oil is very easy to use, I put a few drops in my hand and massage it into my face. It’s currently taking pride of place in my beauty cabinet. This product was gifted to me by Nourish but this does not influence my opinion.